Durham Street Methodist Church in Christchurch, New Zealand, celebrated the start of construction of the new building on the site where the 22 February 2011 magnitude 6.3 Christchurch Earthquake tragically demolished the historic 1864 Gothic-style building. 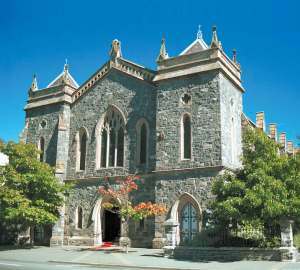 At that time, six men from the South Island Organ Company were engaged in removing the pipe organ – three of them lost their lives. A tree near where the three men died has been saved and will be incorporated into a meditative garden area at the west end of the church auditorium. Ground remediation work, to minimise the impact of any further major earthquakes, has now been completed, together with compaction tests on the 15 or so 10 metre deep piles of shingle drilled into the site. and the construction company has installed facilities for its contractors and builders. 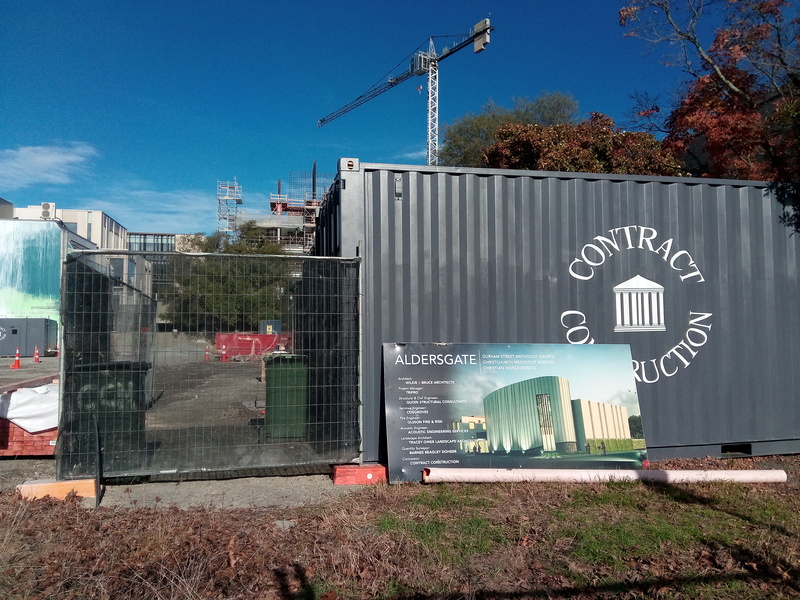 It is anticipated that the new Aldersgate Centre will be completed by late-October 2019 – the Centre will house the offices of the Christchurch Methodist Mission and Christian World Service as well as incorporating an auditorium for community use and the church’s chapel.